If someone you care about it learning to cook and you wish to give them a bit of encouragement along the way, consider sending a food gift basket along with some other treats! Food gift baskets can be a really thoughtful way to encourage a new cook as he works his way through a recipe book or she dabbles with new and exciting dishes. Learning to cook can take some practice but it always feels good to know that someone is looking out for you while you’re in the kitchen! 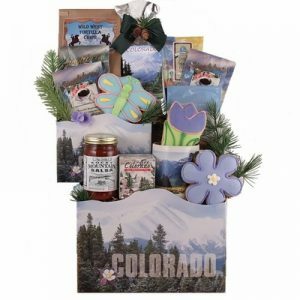 Baking Fun Keepsake Gift: Sweet and thoughtful, this gift includes cookie mix, a batter bowl, towel, and pot holder. 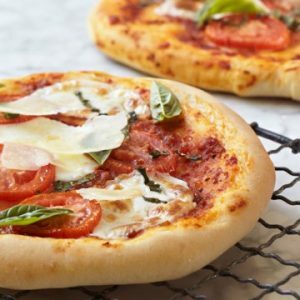 Gourmet Pizza Making Kit: Give them everything they need to whip up a little taste of Italy with this kit that includes sauce, crust mix, a pizza stone, and more! Soup’s On! Gift: A decorative dish towel, soup ingredients, and some sweets make this gift a warm and welcome treat. Healthy Family Meals Gift Basket: Filled to the brim with a variety of meals to feed a group, this gift is perfect for getting the whole family involved in cooking. In addition to sending a food gift basket, you can also give encouragement to a new cook by sending a cookbook, gift cards for groceries, kitchen tools, or a subscription to a cooking class online or close to home! Of course, once that person has succeeded in making new dishes, help them to host a party so that everyone can enjoy! 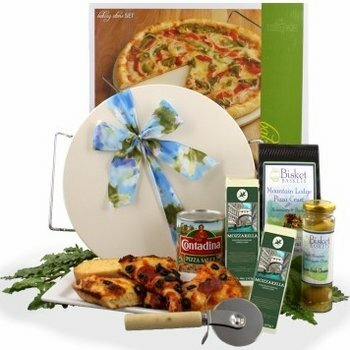 Shop all meal gift baskets today at BisketBaskets.com.